PLDT Home now with Google WiFi plans. 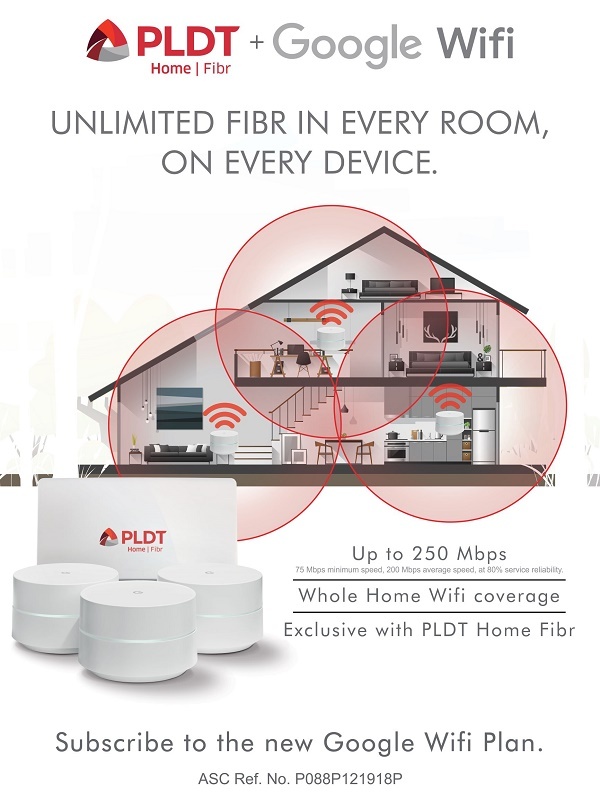 PLDT ushers a new era of home broadband as it introduces the new PLDT Home Google Wifi Plans, which lets you enjoy Unli Fibr in every room and on every device starting at Php2,299 per month. Put an end to your Wi-Fi dead spots now and enjoy Unli Fibr in every room, on every device by upgrading to the all-new Google Wifi Plans!